Download and print out the butterfly templates. Fold each butterfly in half. Open the butterfly up. 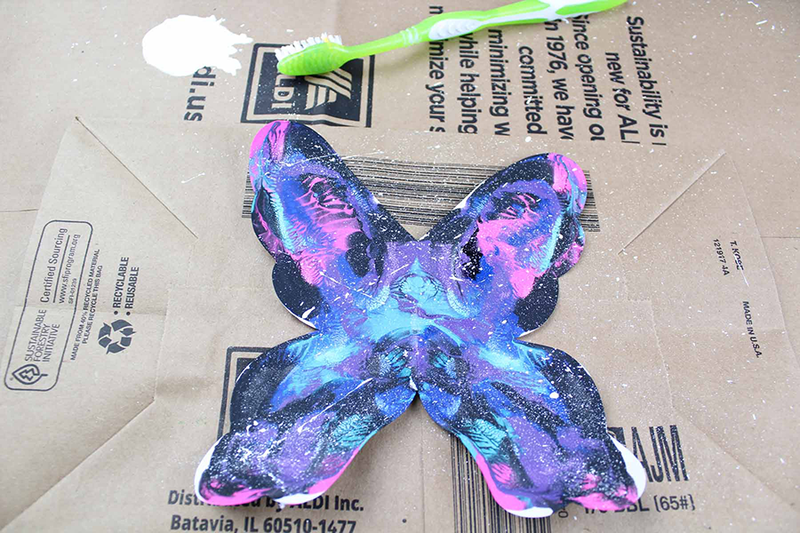 Add bits and blobs of paint to only one side of the butterfly. Fold the butterfly over and give it a gentle push to imprint the paint on both sides. 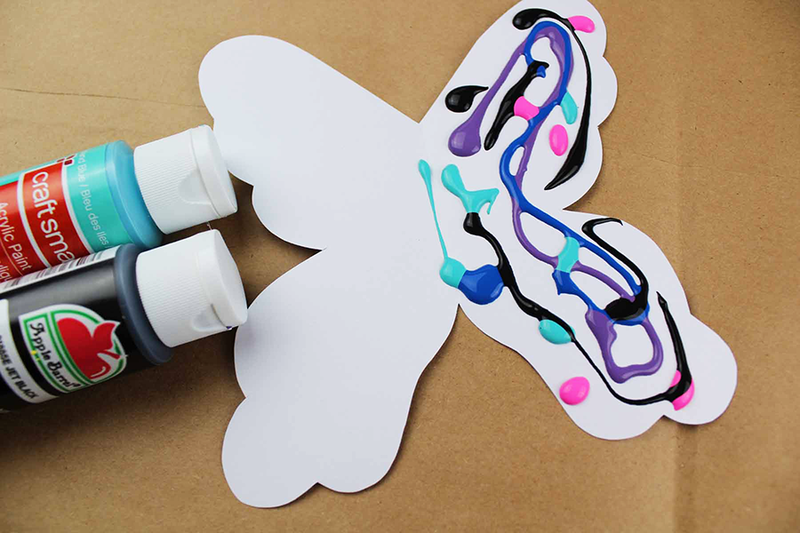 Use a toothbrush or paintbrush to flick white paint across the butterfly. 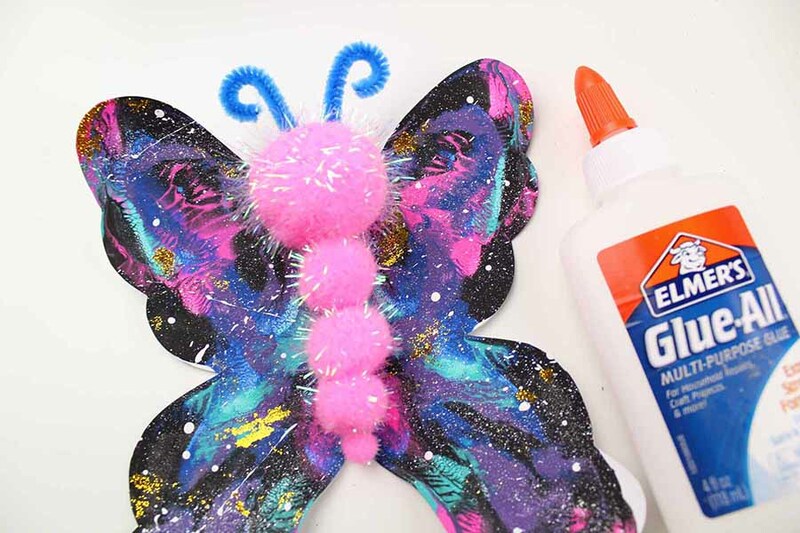 Use a paint brush to add a bit of glue on the butterfly and shake gold glitter on those areas. Shake off the excess glitter. Cut a pipe cleaner into 4 pieces and curl them at the top. Glue the pipe cleaners onto the back of the large pom pom. Glue googly eyes onto the large pom pom. 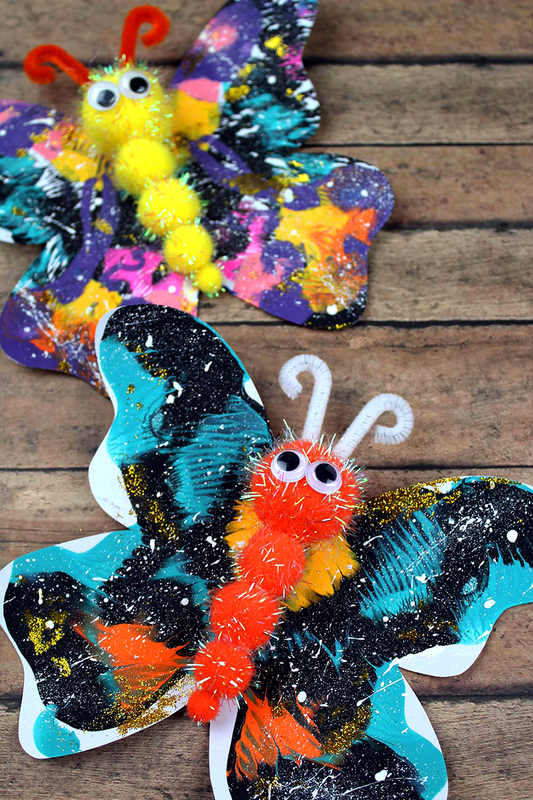 Your galaxy paint splat butterflies are finished! 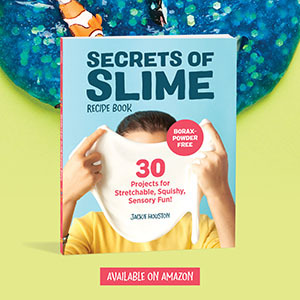 Don’t forget to follow I Heart Arts n Crafts on Facebook and Pinterest! 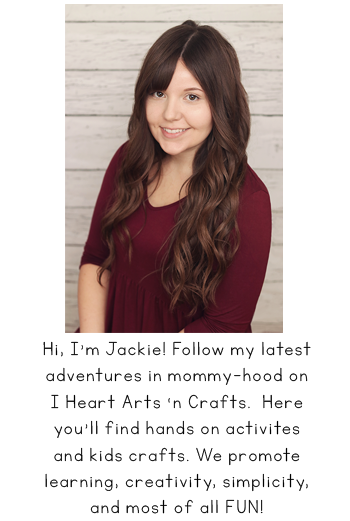 And if you decide to make any of my crafts, please share them on my Facebook page or use #iheartartsncrafts on Instagram for me to see!